Thank you very much to YZF-R25 customer for your support with factory modification campaign organized by Hong Leong Yamaha. To those customers that haven’t come to change new oil pump and pressure plate at our authorized dealers, please take note that this modification campaign is very important to make sure that your motorcycle running in good condition. To customers that still not receiving any letter, please contact Hong Leong Yamaha Service Dept (Rashid/Stefan/Ameera) at extension (6665/6633/6654) and we will resend the letter to you. 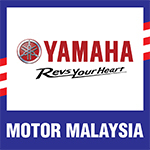 To customers that already received the letter, we hope you can send your motorcycle to our authorize dealers or any Hong Leong Yamaha Motor service center as soon as possible to prevent any unforeseen circumstance happen on your motorcycle. To groups that want to do on weekend, please gather your team members and we will make special arrangement for you. Please contact service dept branch or HQ person in charge to make the arrangement. To whom that reluctant to do the upgrade, please inform HLYM for record. Cooperation from owners of Yamaha YZF-R25 we precedence with gratitude. Below is our branch address for your reference.